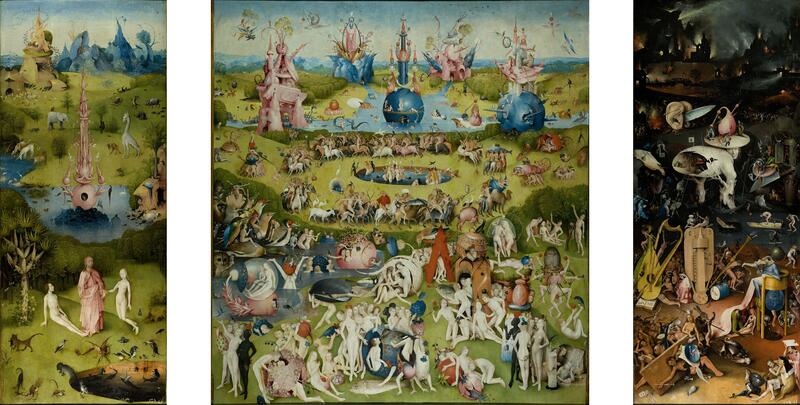 She is writing about the work of art historian Wilhelm Franger, who argued that Bosch was a member of a "Brethren of the Free Spirt" sect, and that this is borne out by his "Garden of Earthly Delights:. It is I who am the light which is above them all. It is I who am the all. From me did the all come forth, and unto me did the all extend. Split the piece of wood, and I am there. Lift up the stone, and you will find me there. The one who has Knowledge is a free person. But the free person does not sin, for the one who sins is a slave of sin. Whether these echoes are circumstantial or not is up for debate, especially as these Gospels were presumed lost until their discovery among the Nag Hammadi manuscripts in the 20th Century. It is possible that such Gnostic ideas or texts were in circulation in the areas where the Free Spirit flourished via the Cathars, whose dualistic and transcendentalist approach to Christianity had its roots in the East but this is unproven, although it is true that the regions where the Cathars were strongest in northern Europe – Flanders, the Rhineland, Cologne – were the regions where the Free Spirit spread most strongly. Whatever the case the parallels are there and very striking.